Inspired by a holistic wellness approach, the Elemis Superfood Healthy Kickstart Collection helps to restore a long-lasting, ultra-fresh glow. A greens-packed cleanser that performs a deep cleanse to leave skin feeling refreshed and purified. Utilising a cocktail of green superfoods, including Wheatgrass, Kale and Nettle, the nourishing face wash effectively lifts away dirt and impurities whilst feeding skin with essential nutrients to help restore a fresh, healthy glow. Broccoli Seed, Avocado and Pumpkin Seed oils are combined with a natural sugar derivative pre-biotic to ensure skin feels healthy and balanced. A nutrient-rich moisturiser packed with green superfoods to leave skin feeling healthy and revitalised. Instantly hydrating the complexion, the nourishing day cream combines a protective pre-biotic with a superfood complex of Ginger, Matcha Tea and Goji Berry to leave skin looking plumped, refreshed and replenished. Promoting dewy radiance, the softening cream will revive a luminous complexion while balancing and protecting against the environment. 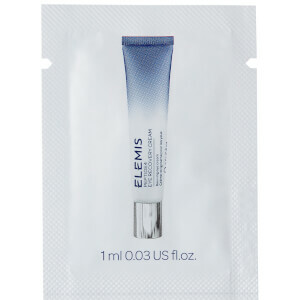 A rinse-off exfoliating cream to polish, perfect and brighten tired, lack-lustre skin. Enriched with natural fruit enzymes of Papaya and Pineapple, the non-abrasive formula effectively buffs away impurities and dead, dull skin to unveil a clear, radiant complexion. Perfect for sensitive or mature skin types, its blend of nourishing Milk Protein, Marine Algae and antioxidant Vitamin E leave skin feeling smooth and comfortable after use. A 100% natural treatment that works to re-energise and 'feed' your skin with essential superfood nutrients. Infused with aromatic essential oils, concentrated superfoods and naturally moisturising ingredients, the oil promotes a brighter, more radiant and youthful-looking complexion. Its combination of antioxidant and fatty acid-rich Broccoli Seed Oil and moisture sealing Flaxseed Oil work in synergy to hydrate and soothe the skin, whilst easily absorbed Daikon Radish melts deep within to nourish from the inside out. Facial Wash: Massage into dry skin every morning and evening with fingertips. Add warm water to create a lather, then rinse off. Day Cream: Apply every morning to cleansed, dry skin. If contact with eyes occurs, rinse thoroughly. Peel: Apply to cleansed skin avoiding delicate areas around the eyes. Leave for 10-15 minutes and rinse with lukewarm water to reveal a brighter complexion. If contact with eyes occurs, rinse thoroughly. Facial Oil: Massage 3-4 drops over the face and neck. If contact with eyes occurs, rinse thoroughly. Facial Wash: Aqua/Water/Eau, Sodium Lauroyl Sarcosinate, Glycerin, Cocamidopropyl Betaine, Acrylates Copolymer, Polysorbate 20, Sodium Lactate, Coco-Glucoside, Glyceryl Oleate, Dicaprylyl Ether, Lauryl Alcohol, Sodium Chloride, Phenoxyethanol, Xanthan Gum, Persea Gratissima (Avocado) Oil, Chlorphenesin, Sodium Hydroxide, Citric Acid, Fragrance (Parfum), Alpha-Glucan Oligosaccharide, Brassica Oleracea Italica (Broccoli) Seed Oil, Cucurbita Pepo (Pumpkin) Seed Oil, Galactoarabinan, Disodium EDTA, Salvia Hispanica Seed Oil, Limonene, Citrus Aurantium Dulcis (Orange) Peel Oil, Sodium Dehydroacetate, Caramel, Amyris Balsamifera Bark Oil, Urtica Dioica (Nettle) Juice, Cymbopogon Martini Oil, Geraniol, Linalool, Rosmarinus Officinalis (Rosemary) Leaf Oil, Daucus Carota Sativa (Carrot) Seed Oil, Brassica Oleracea Acephala (Kale) Leaf Extract, Triticum Aestivum (Wheatgrass) Leaf Extract, Magnesium Aspartate, Zinc Gluconate, Maltodextrin, Polyglyceryl-3 Diisostearate, Chlorophyllin-Copper Complex, Hydrogenated Palm Glycerides Citrate, Tocopherol, Copper Gluconate, Sodium Benzoate, Potassium Sorbate, Ascorbic Acid. Day Cream: Aqua/Water/Eau, Dicaprylyl Carbonate, Glycerin, C12-16 Alcohols, Pentaerythrityl Distearate, Isononyl Isononanoate, Alpha-Glucan Oligosaccharide, Cucumis Sativus (Cucumber) Oil, Citrus Nobilis (Green Mandarin Fruit Extract, Raphanus Sativus (Daikon Radish) Seed Extract, Salvia Hispanica (Chia) Seed Oil, Phenoxyethanol, Propanediol, Palmitic Acid, Hydrogenated Lecithin, Sodium Polyacrylate, Sodium Stearoyl Glutamate, Chlorphenesin, Xanthan Gum, Lycium Chinense (Goji Berry) Stem Extract, Tocopherol, Brassica Oleracea Italica (Broccoli) Seed Oil, Lactobionic Acid, Fragrance (Parfum), Panthenol, Sodium Dehydroacetate, Limonene, Citrus Aurantium Dulcis (Orange) Peel Oil, Camellia Sinensis (Matcha Tea) Leaf Powder, Amyris Balsamifera Bark Oil, Cymbopogon Martini Oil, 1,2-Hexanediol, Geraniol, Linalool, Rosmarinus Officinalis (Rosemary) Leaf Oil, Daucus Carota Sativa (Carrot) Seed Oil, Polyglyceryl-3 Diisostearate, Lactobacillus, Zingiber Officinale (Ginger) Root Extract, Caramel, Ethyl Ascorbic Acid, Lecithin, Helianthus Annuus (Sunflower) Seed Oil, Potassium Sorbate, Sodium Benzoate, Ascorbic Acid, Benzyl Alcohol, Maltodextrin, Lonicera Caprifolium (Honeysuckle) Flower Extract, Lonicera Japonica (Honeysuckle) Flower Extract, Rosmarinus Officinalis (Rosemary) Leaf Extract, Chlorophyllin-Copper Complex, Benzoic Acid, Dehydroacetic Acid. Peel: Aqua/Water/Eau, Propylene Glycol, Octyldodecanol, Glyceryl Stearate SE, Cetearyl Alcohol, Glycerin, C12-16 Alcohols, Helianthus Annuus (Sunflower) Seed Oil, Niacinamide (Vitamin B3), Xanthan Gum, Phenoxyethanol, Palmitic Acid, Hydrogenated Lecithin, Fragrance (Parfum), Papain, Chlorphenesin, Lactis Proteinum/Milk Protein/Protéine Du Lait, Ananas Sativus (Pineapple) Fruit Extract, Sodium Dehydroacetate, Disodium EDTA, Porphyridium Cruentum (Red Algae) Extract, Cinnamyl Alcohol, Fucus Vesiculosus (Bladderwrack) Extract, Capsicum Annuum Fruit Extract, Tocopherol, Citronellol, Geraniol, Limonene, Citral, Mentha Arvensis (Mint) Leaf Oil, Cuminum Cyminum (Cumin) Seed Oil. Facial Oil: Prunus Amygdalus Dulcis (Sweet Almond) Oil, Caprylic/Capric Triglyceride, Limnanthes Alba (Meadowfoam) Seed Oil, Linum Usitatissimum (Flax) Seed Oil, Macadamia Ternifolia Seed Oil, Oryza Sativa (Rice) Bran Oil, Papaver Somniferum (Poppy) Seed Oil, Rosa Canina (Rosehip) Fruit Oil, Squalane, Raphanus Sativus (Radish) Seed Extract, Cucumis Sativus (Cucumber) Oil, Brassica Oleracea Italica (Broccoli) Seed Oil, Fragrance (Parfum), Limonene, Citrus Aurantium Dulcis (Sweet Orange) Peel Oil, Amyris Balsamifera Bark Oil, Cymbopogon Martini (Palmarosa) Oil, Geraniol, Linalool, Rosmarinus Officinalis (Rosemary) Leaf Oil, Daucus Carota Sativa (Carrot) Seed Oil, Tocopherol, Helianthus Annuus (Sunflower) Seed Oil, Benzyl Benzoate, Farnesol, Citral, Benzyl Salicylate, Rosmarinus Officinalis (Rosemary) Leaf Extract.